Skipped this year’s marathon season because you just weren’t ready for it? 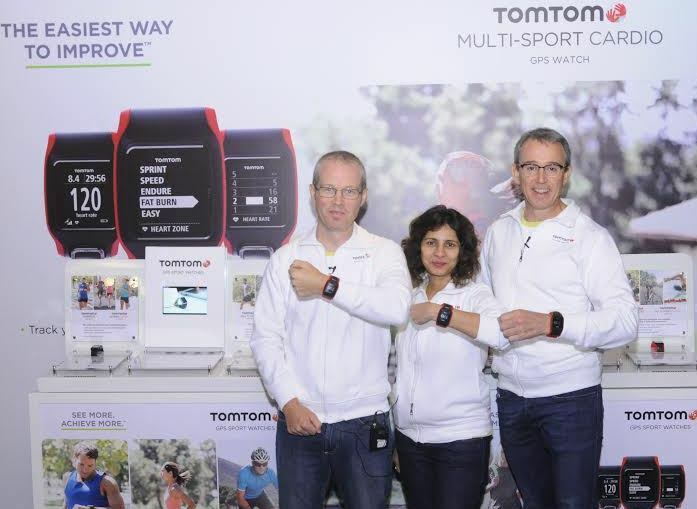 TomTom, global leaders in navigation and mapping solutions, has recently launched high-utility training and monitoring watches in India. How are these watches different from your regular calorie monitors, you ask? 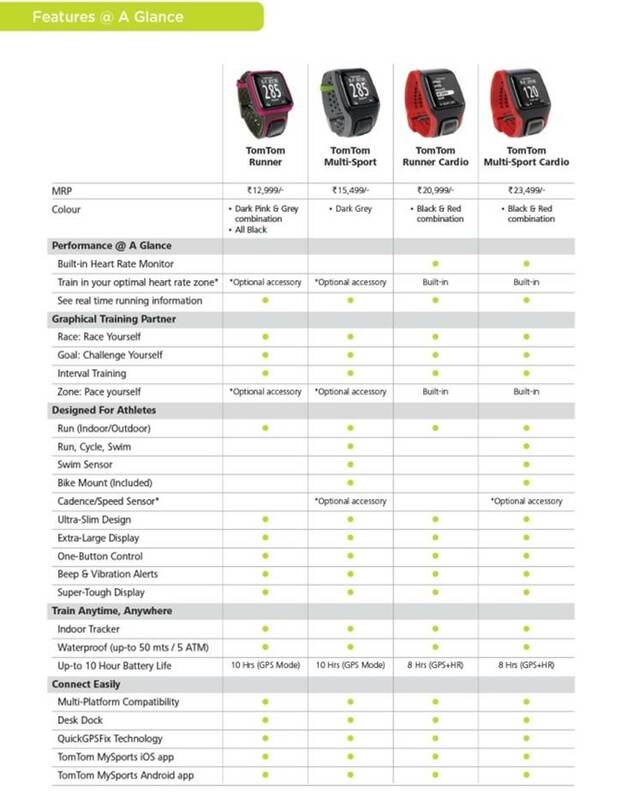 TomTom has released the TomTom Runner and TomTom Multi-Sport and two watches specifically designed for cardio training, each stocked with advanced features for serious athletes and cardio enthusiasts. Along with regular monitoring options like duration, distance, heart rate, speed and calories exhausted, the watches can also change settings according to specific indoor and outdoor conditions. They are water and weather resistant, durable and have smart Bluetooth features for smooth connectivity. Lastly, the winning feature is the One-Button Control that enables easy navigation through menus to access key stats and watch features. This is impressive because most GPS watches available today feature multiple small buttons which are not of great help in difficult weather conditions, in water or while wearing protective gloves. The made-for-cardio watches have an added monitoring feature called Heart Rate Zones which allows you to map training progress across different intensity levels like sprint, speed, endurance, fat burning and easy tempo training.